On travels, nothing beats a good serving of something delicious to reward your belly. 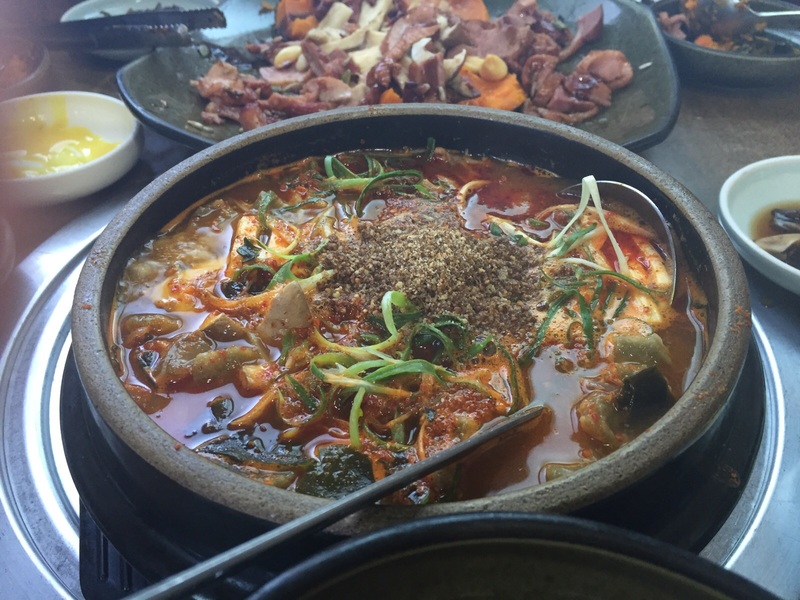 7 visits to Jeju and counting… Heres my 5 favourite restaurants in the island. (No order of preference). 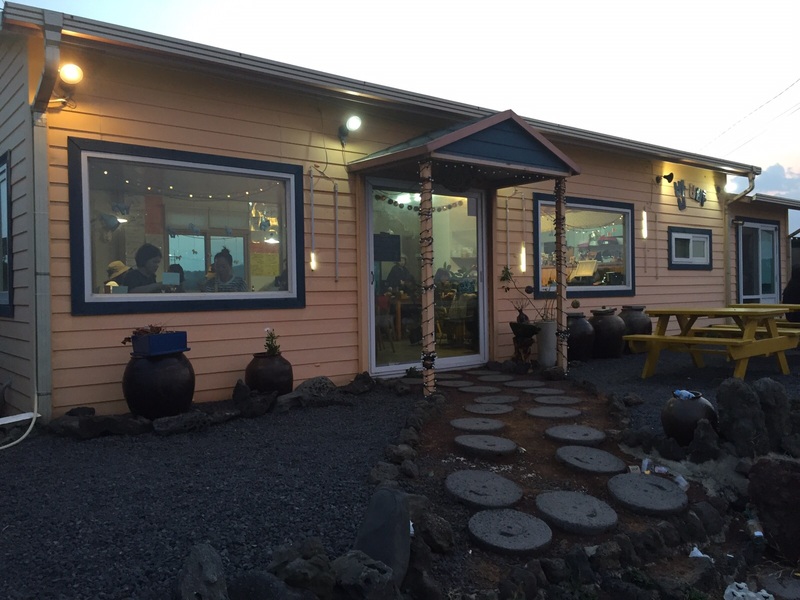 Discovered this place solely because my favorite abalone restaurant has over an hour waiting list and we drove on and on to find any restaurant that can feed 5 hungry and cold people. Viola! We decided to try this place and the date made history. Its a simple menu consisting only of 5 to 6 dishes. 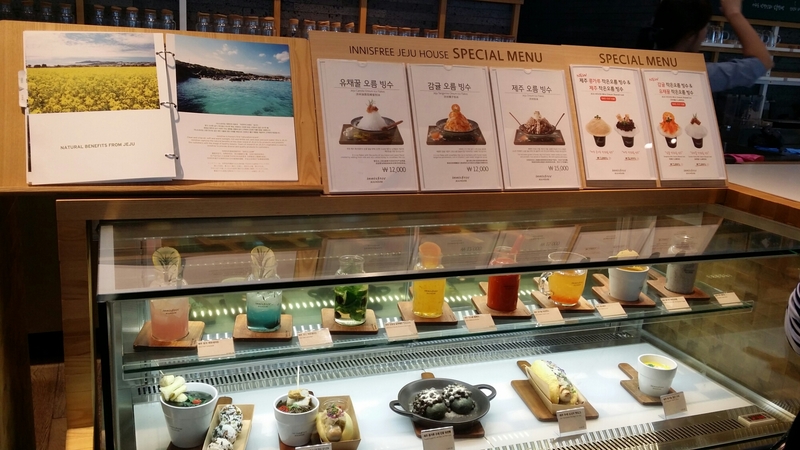 Their specialty is Seafood Tteokbokki ( 해물 떡볶이) -₩12000. For someone who doesnt even like tteok i was surprised by the way they cooked it and the generous helping of seafood that complemented the dish making it simply delectable. 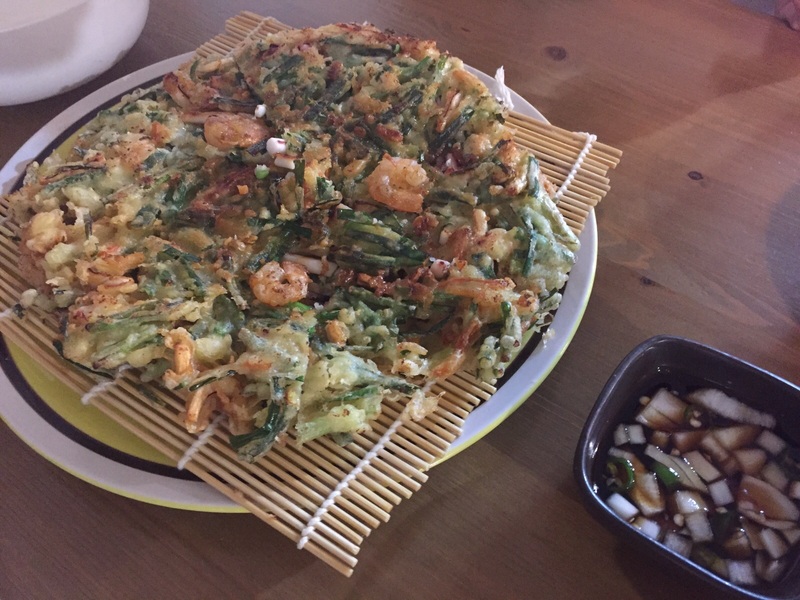 But it was the best tasting seafood pancake (해물 파전) – ₩10000 I ever had that sealed the deal for me. Fried to crispy perfection with an abundance of seafood and chives, the taste lingers in my thoughts even till today. 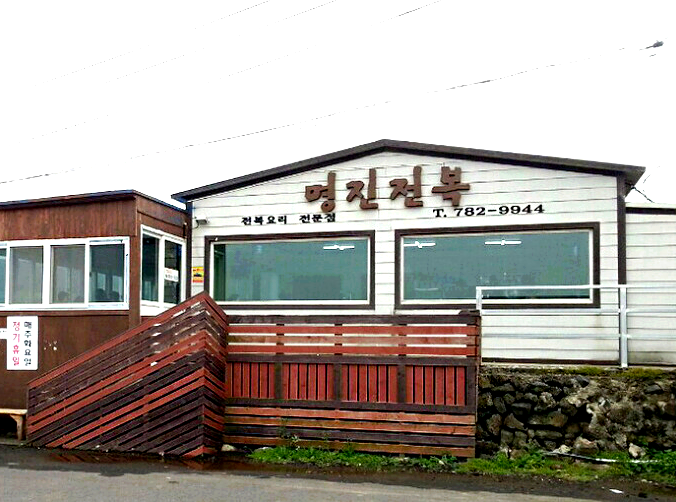 If you are visiting the Ichubong Sunrise Peak, this nearby restaurant is a can’t-miss! Not a looker from the outside but this is THE restaurant that had over an hour waiting list. Even on weekdays, dinner time is packed to the brim. 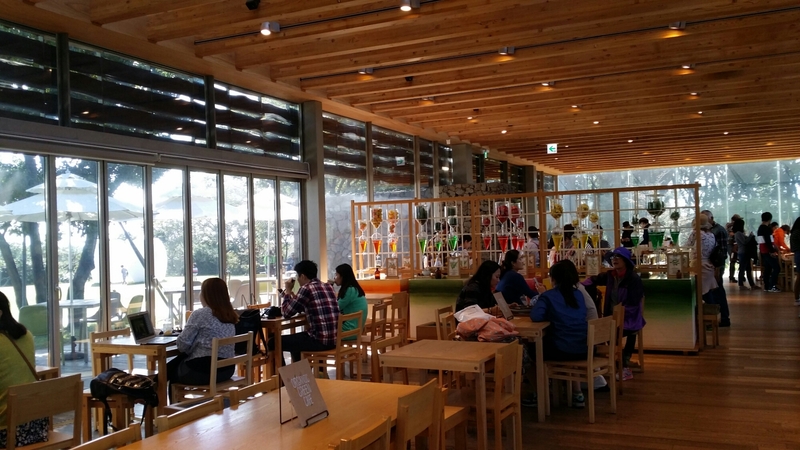 It is one of the most famous restaurants in the whole of Jeju and a hit especially with local koreans. 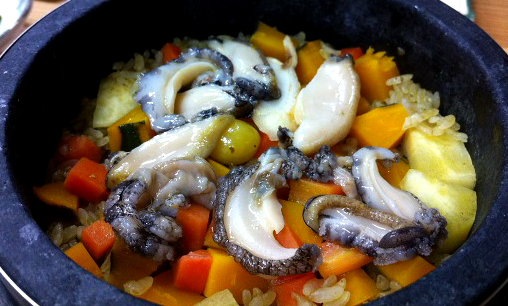 I have tried several other abalone porridge and hotpot restaurants in Jeju and there’s a reason why Myeong Jin is on top of the list. 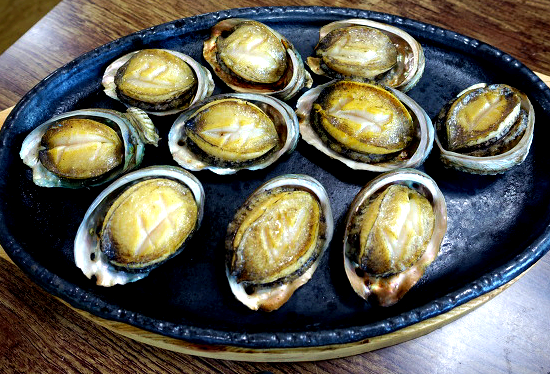 The flavoring of their abalone alone sets it apart from the competition. Everything is pretty much done to perfection and the cherry to top it off? Grilled makeral as a complimentary side dish. 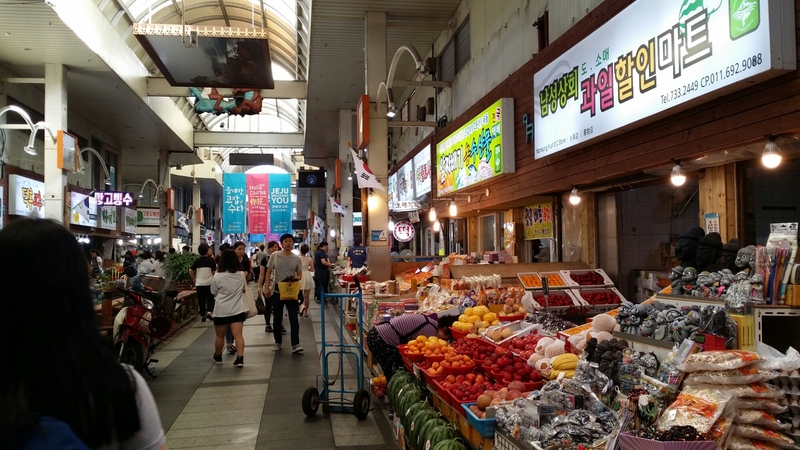 Prices from ₩13000- 30000. 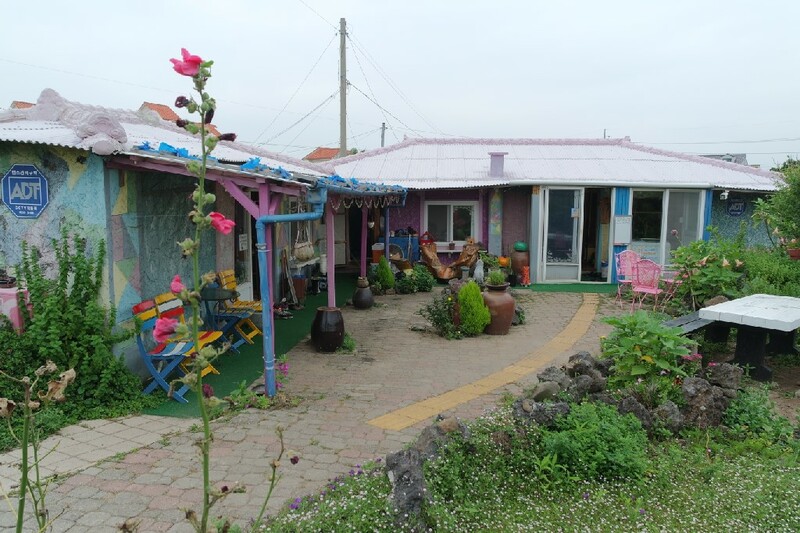 This is a quaint little restaurant located at the aewol-eup area. 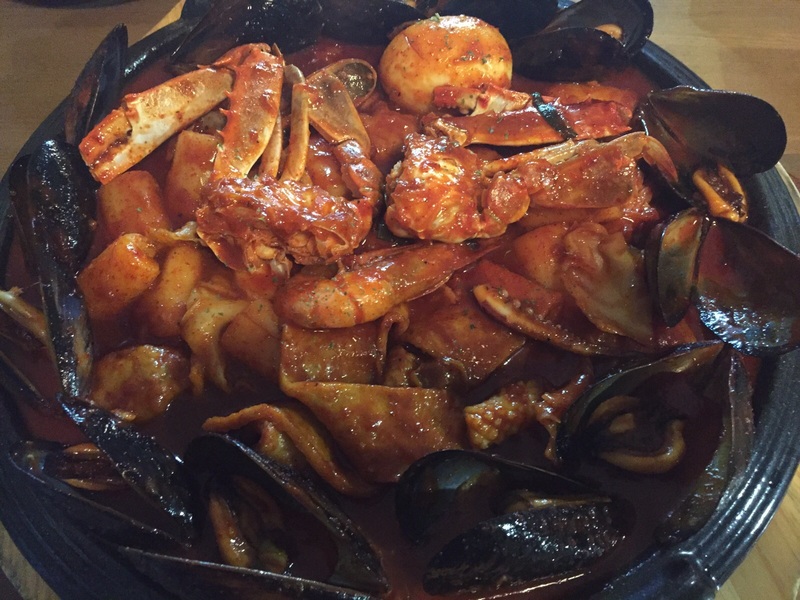 I found it when I went into some naver blogs that were introducing famous restaurants in Jeju loved by the locals. This is their version of a mini hanjeongshik (table of different side dishes) and the mains on this version is duck fried with cabbage and stirfried pork. What makes this restaurant so special is their healthy purple rice and wide selection of greens for wrapping the meat in. 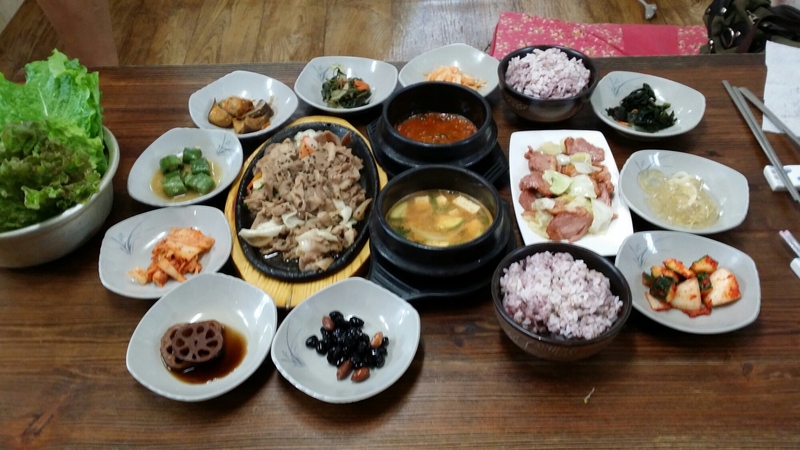 At ₩11000 per person, its a fulfilling meal with an asssortment of side dishes guaranteed to find favor with the taster. Yes its overhyped! Yes its flooded with tourists! But doesn’t change the fact they have organic dishes that is too delicious not to give it a mention. I especially like their homemade sausage meal set and their desserts. Open for business next to O’Sulloc Museum, you can first shop for your favourite innisfree skincare products or make your own organic soap before heading to the attached cafe. The main offering here from the signboard seems to be black pig bbq but what they are truly well known for is their succulent pumpkin duck. I must admit my rude shock seeing the restaurant for the first time as its a tad run down and old and frankly first impressions will probably have it as hygiene challenged. Mustering my innate gung-ho I told my family we need to try it since its a well reviewed restaurant and koreans and foreigners alike seems to have only high praise for it. Our bravado was duly rewarded. Tada! 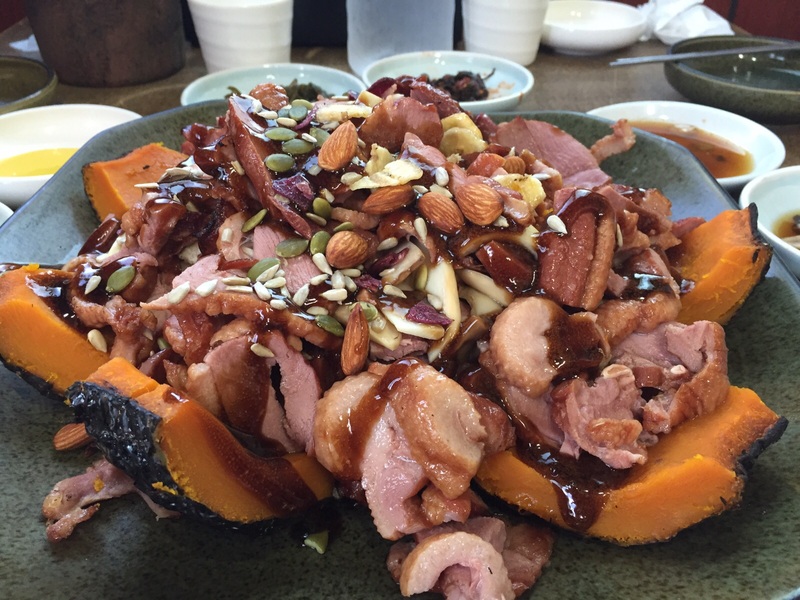 Heres presenting you the goodness of a perfectly grilled pumpkin duck flavoured with an assortment of veggies and nuts. Its DELICIOUS!!! 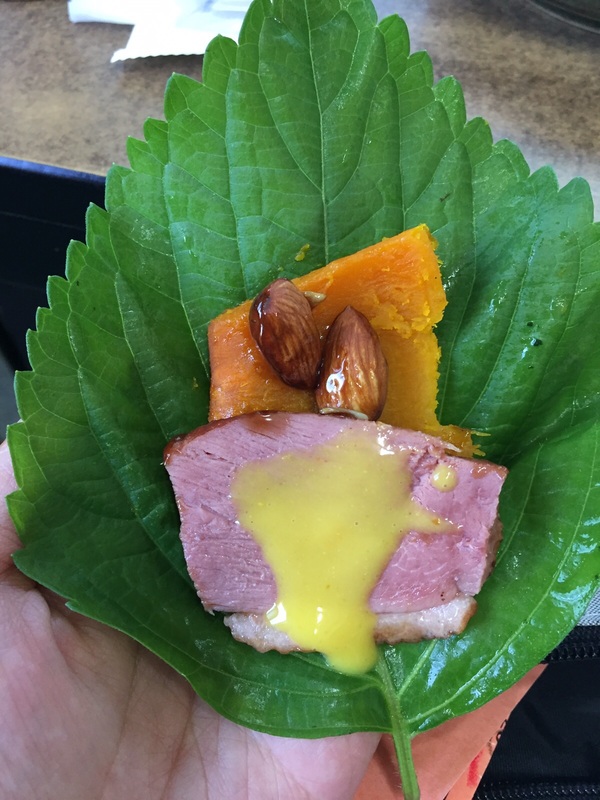 The smoked duck meat is succulent retaining maximun juicy moisture and the pumpkin mixed in with it together with a lettuce wrap… divine! The peppery duck soup after the course is not for the weak hearted or those who simply don’t eat spicy. Walaaaaaa… it was hot hot hot… if I wasn’t so stuffed I could have drank a full proper bowl but full + super spicy, after two spoonfuls i gave up. It might seem expensive on paper but they do feed you well. 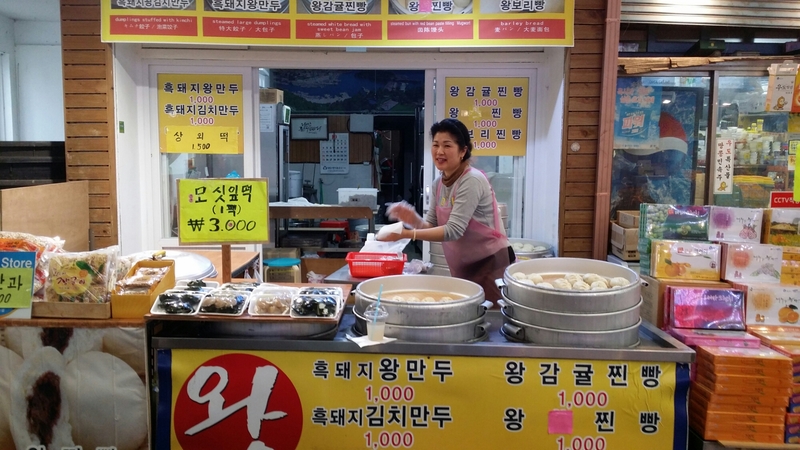 At the restaurant, you need to tell the person taking orders that you are here for the Hobak-hoon-jori (호박훈저리). 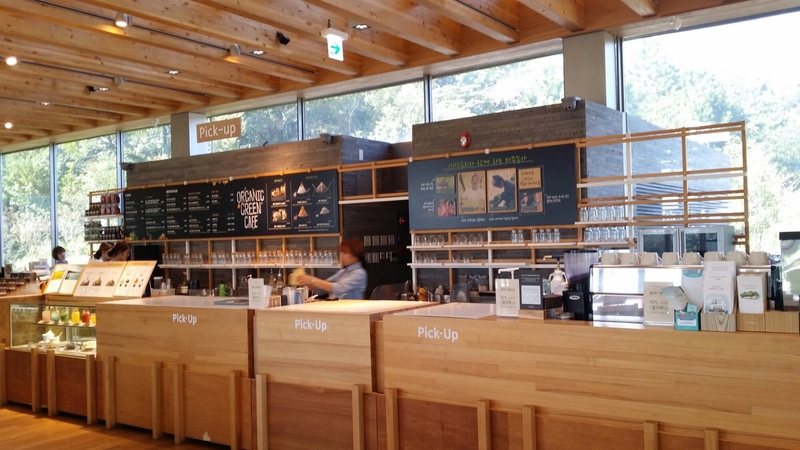 The ₩40,000 portion will be sufficient for 2-3 people and ₩58,000 portion is good for 4-5 pax. Many people come here for the restaurants that allow them to choose live seafood to be cooked on spot to their liking. I come to this market specifically for the kimchi mandu bao. 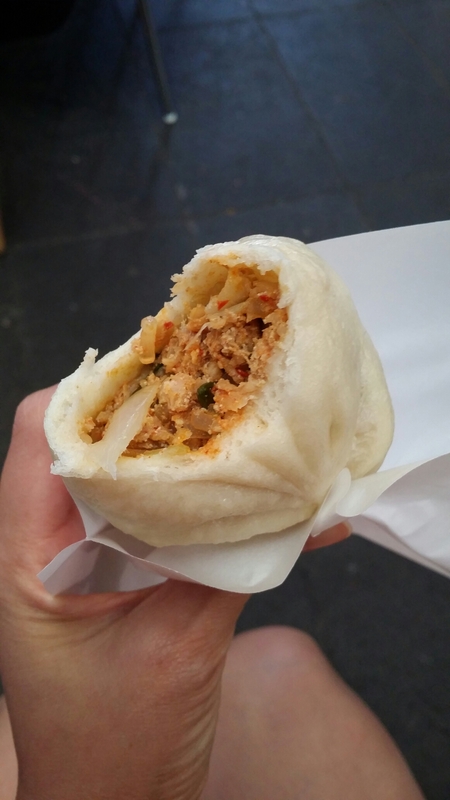 This bao features chopped up kimchi stirfried with japchae noodles and minced pork stuffed into it. At ₩1000 its addictive, cheap and filling. Sometimes i just drive down, buy two of these for lunch and it keeps me going all the way till dinner. Love love love it!